First off, we have goggles, so no more burning eyes or running into lane markers or the walls. Without the worry of hitting objects in the water, we are able to keep our heads down and looking at a black line for lap after lap. Swimming workouts can sometimes feel like a real bore, no matter how much you want to succeed. There will be times you long to be in the water and time where you could just take a break. One of the things I recommend to swimmers and one thing I use to be a big fan of is bringing technology into the water. I am an absolute tech nerd, especially when it comes to swimming gadgets. I feel the incessant need to have the latest phone, ipad, and computer. Bringing technology into the water has revolutionized the world of swimming, allowing for more exciting workouts, but also a way to get feedback on your swimming. 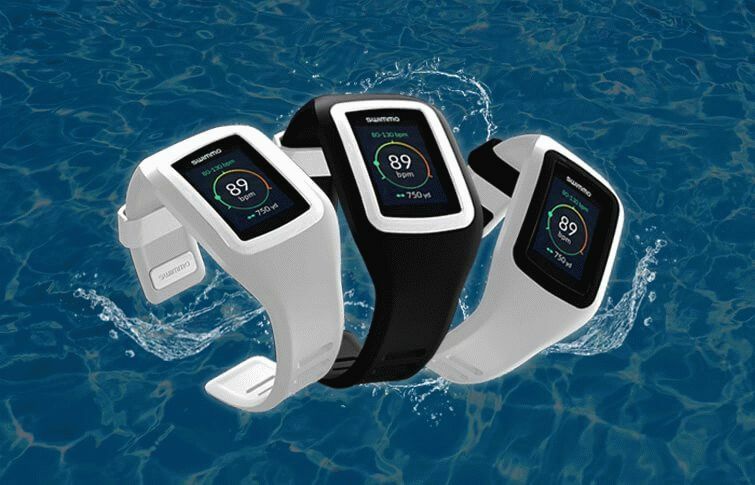 There are swimming gadgets that you can use to listen to music and other entertaining things or there are gadgets to help you improve your swimming like heart rates. The list is pretty extensive of the type of swimming gadgets you could use, but I am going to focus on the top four gadgets that improve swimming. There are a ton of swimming fitness tech that tries to measure anything and everything it can, even something that seems impossible like the amount of body fat you are burning in your workout. If you are a competitive swimmer, some key measurements you may want to track are, your heart rate, stroke count, stroke pace, distance, speed, and feelings (this is a subjective measurement). With these measurements on hand and recorded, you can track the speed of your swims and the efficiency of the swims. You can gather information to find out where you swim the fastest. Is it through power and speed, or would you swim faster by slowing down to improve efficiency? They to practice like you are in a race, and anything that can help us swim faster in the water should be tested. Interested in reading more tips? As a coach, one of my favorite tools to use and that I tell my swimmers to use is the pace clock. I was a distance swimmer, so the pace clock was my number one tool. I needed to know if I was holding back or if I should give more. Unfortunately, you cannot really see the pace clock while you are swimming, which means you have to spend a lot of time feeling your pace. If you are a swimmer who is constantly improving your stroke, then the pace of your stroke might change. For example, if I swam short strokes, I would need a quick tempo beat. However, if I had a long stroke I would need a slower tempo. Luckily that problem can now be solved with the Tempo Trainer. This devices helps to keep the rhythm of your stroke so you can remove those pauses in your stroke or learn to pace your swims. How Much and Where Can I Find It? The Tempo Trainer works by sounding a constant beep as you swim. Simply, the speed of the rhythm to your liking. The Tempo Trainer Pro can be found on Finis’ website for $49.99. An alternative to the Tempo Trainer Pro would be an mp3 player. Not to date myself, but when I was swimming they were just starting to come out with mp3 players. As they became popular it seemed like everyone used them during their workouts, from weight lifters to football players. I was always jealous because there was very little hope for a swimmer to ever use one. Those days are long now, if you ever get bored and need a little bit of motivation, you can listen to your favorite songs during your workouts. The Finis Neptune is awesome because you can listen to music without ear buds. The Finis Neptune attaches to your goggles and the “ear buds” connect to your goggles and cheek-bone. The Finis Neptune sends pulses to your cheek-bone allowing you to hear the music. How awesome! You can also use this to keep your pace by downloading songs or audio files of tempo beats. This would replace the need for the Tempo Trainer Pro and would give you the ability to listen to music if you desired. You can find the Finis Neptune on their website for $159.99 or search on Amazon to purchase one today. Checking your heart rate is a great way to measure the intensity of your workout. Different workouts and different parts of your workout require differing levels of intensity. Normally you have to stop and measure your heart rate by checking for your pulse which can be near difficult when you only have a thirty second rest. The Aqua Pulse is a quick solution to the problem. It measures your heart rate by measuring the blood flow in your capillaries near the temples. The aqua pulse then reads out your heart rate for you to hear. The aqua pulse is attached to your cap and goggles. Aqua pulse can be found on Amazon or Finis’ website for $129.99 USD, but it can be found on cheaper websites like Amazon. This is probably hands down the single most revolutionary fitness tech for swimmers. This gadget is so high tech it would take an e-book to explain. The SwimSense Performance Monitor is a great way to measure, track and analyze your pace, speed, distance, stroke count, stroke rate, and calories burned across all four major strokes. The monitor is a watch that you place on your wrist. It uses complex algorithms, accelerometers and other meters that I do not know what they do. All I know is that it works and is pretty accurate. The best part of this is that you can upload all your data online for further analysis and history tracking. You can watch your performance over longer periods of times. You can implement testing how sleeping will affect your swimming, like napping before a race or listening to music before a swim. You can track these tasks for a month and see if they make a difference in your swimming. You can find the monitor for $169.99 on Finis’ website. Technology has revolutionized the world and swimming. We can now measure and track all of our metrics to be better swimmers. So far my top four products for swimmers are by Finis, but I have to show you one more interesting equipment. 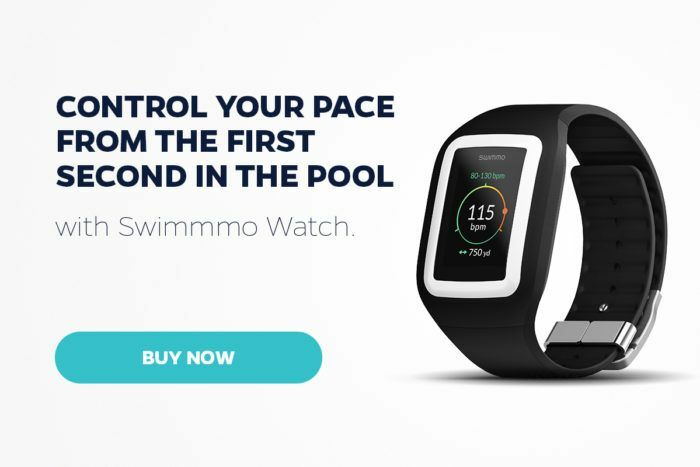 It’s called Swimmo – the must-have swimmer’s smart watch. Swimmo will help you get stronger, maintain health and keep weight under control. Dedicated smart watch that it is automatic distance tracking and it checks your pace and counts your laps. If you are getting bored in your workouts or simply want to begin tracking your metrics to improve your swimming then start using some swimming tech.